Being a homeschool mom can be the most wonderful job in the world - but sometimes it is also the hardest! Want to meet other moms, sort out your homeschool problems and get scheduling ideas? Here's how to get started, get organized and get support! There are plenty ways to meet other moms, even if you can't get to your local groups. Online friendships can be just as supportive and encouraging as real life ones. Even just reading the story of another mom can sometimes be the inspiration you need. Homeschooling was the best thing I did for me and my son. New to Homeschooling - advice from a reader. The Homeschool Lounge - a whole community just for you. Cafe Mom - several homeschool groups within the forum. Sometimes we hit problems with our homeschooling and don't know where to turn. But you know, usually someone has been there before you! Here are some ideas to help you get back on track. What to do about Homeschool Burnout. How to Keep Homeschool and Life in Balance. Need to take a deep breath and start getting organized? With so much to do, sometimes it is hard to keep our priorities clear. I hope these tips will get you started. How to Make a Homeschool Schedule. Can a One Hour Homeschooling Schedule be Effective? Need a fresh view on things? It is easy to get into a rut and forget to try new things. Why not explore some new ideas today? 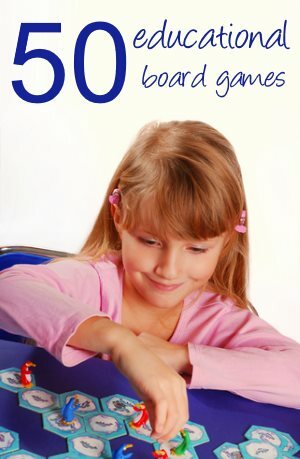 Educational Activities for Children - Inspiring Ideas. How to Homeschool in 3 Easy Steps. How to Set Homeschool Goals. I hope this Homeschooling Moms page really gives you some ideas for trying something new. I would love to hear how you get on! Looking for more? Why not sign up for my newsletter while you are here! 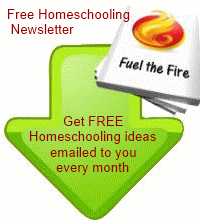 Would you like to get free homeschooling ideas direct to your email inbox? Every month my newsletter Fuel the Fire contains a months worth of homeschool ideas to keep your learners happy!